This week we’ll be taking a look at Engaged to the Unidentified. This adaptation of a weekly comic strip aired in Japan under the title 未確認で進行形 Mikakunin de Shinkōkei (which translates to Unconfirmed and In Progress) between January and March of 2014. There are 12 episodes, each building on the last, as each episode we come a bit closer to finding out the truth about our main characters. When Kobeni Yonomori turned 16, she was informed that she had a fiancee. This is a plot device I’ve seen before, but always with the genders reversed. Kobeni’s betrothed, Hakuya Mitsumine, comes to live with her, along with his little sister Mashiro. Surprisingly, Kobeni is all right with this without being particularly for or against the marriage. We see her have more inner reflection on her situation than I expected to see. Life is hard when you’re a betrothed teenager. At first glance, this show seems like it’s going to be full of the same overworked plot points seen in countless romantic comedy/slice of life shows that have come before it. This is not the case. This show doesn’t pull any punches, drops major plot twists like it’s nothing, and is ridiculously funny. 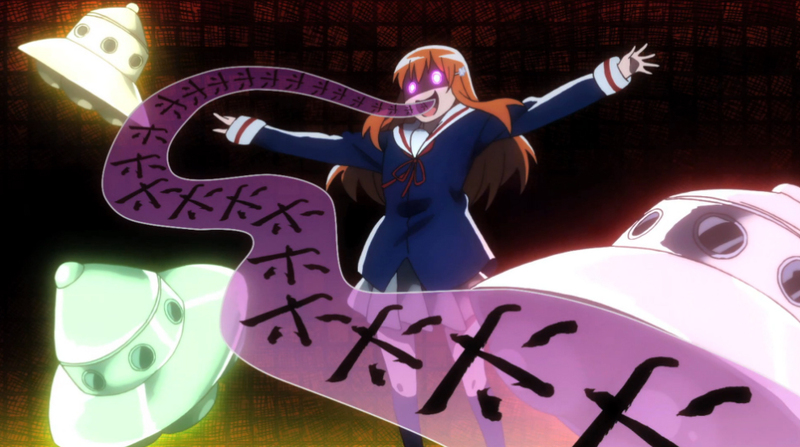 Mashiro, along with Kobeni’s sister Benio, fuel the comedy side, and it is wonderous. For his part, Hakuya is a quiet, reserved, deep thinker. He’s super smart, and very emotionally sensitive, but not obnoxious about it. Poor guy just wants to build stick palaces in peace. Although there is a good bit of foreshadowing so that you know something is different about Hakuya and Mashiro, they don’t broadcast it so loudly that it falls flat when they start revealing their family’s secrets. The romance between Kobeni and Hakuya is adorable, and feels genuine. Unlike many romance shows, the story entirely revolves around the main female character; what she feels and what she wants are most important. All in all, I give Engaged to the Unidentified 7 out of 10 Golden Tanukis. You’ll survive if you don’t get around to seeing it, but it’s definitely worth seeking out. I would recommend this show if you need a laugh and a d’awww. Until next week, here’s Mashiro, doing some gratuitous dancing. Stephanie is a UF alumnus who enjoys baking, reading, cats, and the internet. Also anime. OK mostly anime. Anohana: The flower we saw that day, in Japan known as あの日見た花の名前を僕達はまだ知らない。 Ano Hi Mita Hana no Namae o Bokutachi wa Mada Shiranai., literally translated to “We Still Don’t Know the Name of the Flower We Saw That Day.” is an 11 episode series that ran in Japan in 2011. There was a film released in 2013, and a second film will come out in 2015. 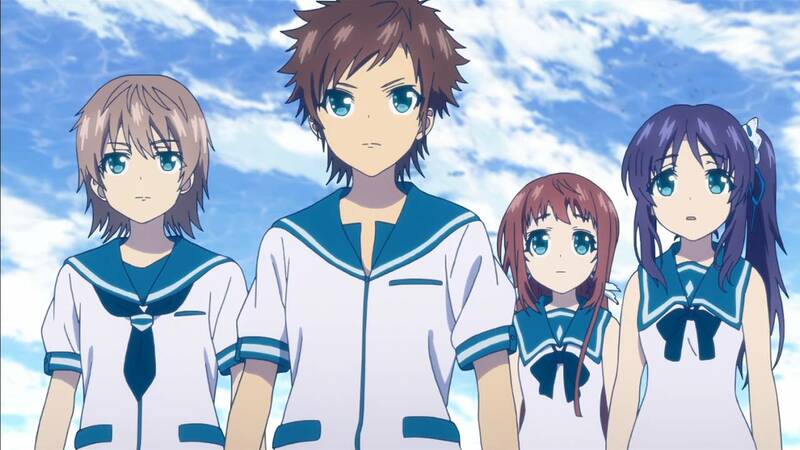 Left to right, that’s Poppo, Jintan, Anaru, Atsumu, and Tsuruko. There are 6 main characters, who span a variety of personalities. The story is told from the perspective of Jinta Yadomi, also called Jintan. He was the leader of a group of childhood friends who called themselves the Super Peace Busters. Meiko Honma, who everyone refers to as Menma, is the ghost of a little girl who was friends with the group but died in an accident. She moves the plot along, nudging Jinta out of the house and trying to reunite the group. We also have Naruko Anjo, aka Anaru, who’s a popular and pretty girl, and struggles with her image as shallow and vapid. Atsumu Matsuyuki has grown to hate Jinta, as he blames him for Menma’s death. He is athletic and popular and bears a weird secret. Chiriko Tsurumi, aka Tsuruko, is the introvert of the group. She and Atsumu are close friends, and have a complicated relationship. Lastly we have my personal favorite, Tetsudo Hisakawa, who everyone calls Poppo. He’s hilarious. A drop-out, he actually sets up in their old Super Peace Busters base and works part time jobs to save up money to travel. Here’s Jintan, leading the Super Peace Busters through the woods when they’re children, back when everything was beautiful. The bare bones of the story are simple– Menma is the ghost of a little girl who died tragically, and she needs to have her wish fulfilled to move on to the next world. It’s up to our main character, Jintan, who is the only one who can see Menma’s ghost, to convince their other childhood friends to help fulfill Menma’s wish. Only, Menma doesn’t remember what her wish is, because she’s a ghost, and therefore has to follow ghost rules to figure it out. Watching Jinta try to convince everyone he’s not crazy is entertaining in and of itself, but that’s not the heart of the show. The real charm of this show lies in rekindling friendships they all once thought was damaged beyond repair and seeing the different kinds of people they’re growing up to be. There are a lot of feelings. This show is unexpectedly touching. I found myself tearing up from time to time (read: a lot of the time). I couldn’t pick out a character to relate to, but I still felt connected to them by the end of the series. The writing does a good job imparting the themes of friendship and trust without shoving it down the audience’s throat, and there are a few plot twists I did not see coming. All told, I enjoyed it more than I thought I was going to. With word of a live-action/CGI movie in the works for everyone’s favorite anthropomorphic blue hedgehog (an overly narrow superlative if I’ve ever said one), it might come as a surprise to non-Sonic fans that this isn’t the first time Sonic has had a movie. Originally two episodes that were pitched as a full anime in Japan before being released as a single OVA, Sonic the Hedgehog: The Movie occupies a very strange place in the Hedgehog’s history. It was made in 1996, not too long after the release of Sonic and Knuckles but it didn’t reach western shores until 1999, when it was dubbed and released in tandem with Sonic Adventure. Sonic is no stranger to animation; by the time this movie came out, American audiences had already been treated to the incredibly goofy Adventures of Sonic the Hedgehog (AoStH) and the darker Sonic the Hedgehog (Sonic SatAM), though it would take until the early 2000s before we’d get a full-length anime, Sonic X. The OVA starts with Sonic and Tails hanging out in Sonic’s beachside home before they get interrupted by an elderly owl delivering mail. He tells Sonic that Dr. Robotnik (Also known as Dr. Eggman) has the president and his daughter held hostage, and wants to speak with Sonic directly. Upon arrival, Robotnik explains to Sonic that his headquarters/city Robotropolis has been taken over by a robot doppelganger named Metal Robotnik. Sonic doesn’t necessarily trust Robotnik, but he doesn’t have much of a choice, so him and Tails head off to Robotropolis. Upon arriving, they meet up with Knuckles the Echidna, who just kind of shows up, and they get into a series of fights against Metal Robotnik’s forces. Eventually Sonic runs into a strange robot in his image to provide the perfect match, Metal Sonic. Canon-wise, there isn’t really anything quite like the universe this OVA is set in. Sonic and Tails are close friends, but Knuckles is just as much so (in the games he’s a lot more grumpy), Eggman is at perhaps his most affable, and the other characters are either anthropomorphic creatures like Sonic or humans with animal features (like the President and his daughter). Sonic is rather fleshed out, backing up his incredible skill with equal amounts of cockiness, being totally willing to tell off Tails and mouth off to the president, and lazily sitting around until he absolutely needs to do something. The world of “Planet Freedom” has a “Land of Darkness” where Robotnik lives and “Land of the Sky” where everybody else lives, as opposed to Earth (games) or Mobius (Sonic SatAM and comics). Aesthetically, I really like the movie’s look. The backgrounds and settings, not to mention the old school look (not that they had anything else to go on) of the characters really captures the feel of the 90s Sonic games. Robotropolis especially looks ripped straight from a genesis game, in a good way. A lot of comparisons can be drawn to Sonic CD, partly from Metal Sonic’s appearances and from the constant nature vs technology themes. In addition, the president’s daughter, Sera, is pretty much Amy Rose as a cat girl instead of a pink hedgehog, having the hots for Sonic and trying her damnedest to get him to notice her, which he blatantly ignores. While her voice is annoying and she’s a total brat, she does at least get some funny moments, already making her more enjoyable than Princess Elise from Sonic 2006. The soundtrack also makes me think of Sonic CD with its heavy synth and rocking guitars, as Sonic CD was the first Sonic game with CD-quality audio as opposed to that Genesis twang (not that I don’t love the Genesis twang). Being a movie about Sonic in the middle of his heyday, the OVA definitely has a 90’s feel to it. Surprisingly the “mascot with attitude” aspect is rather downplayed, but the film definitely has the 90’s anime feel, mostly in the animation and some of the mannerisms of the characters. The movie has a lot of moments of fast-paced action with Sonic and company that then cuts back to Robotnik and Sera messing around, most of which isn’t that amusing. 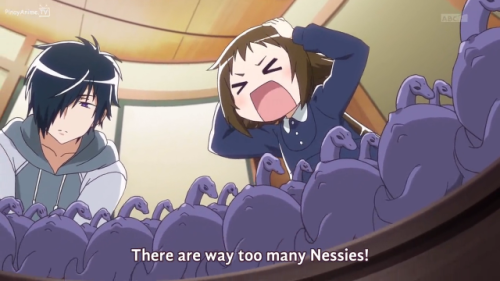 Some viewers might be turned off by the goofiness of some of the characters, but I don’t find it that annoying. The English dub is okay; Tails and Sera are at best obnoxious and at worst nails-on-a-chalkboard ear-grating. Sonic, Knuckles, and Eggman fare better but even they get a bad line every once. But overall, Sonic the Hedgehog: The Movie is a nice treat for fans of the blue blur. The tone hits that golden sweet spot for Sonic when it’s dark enough to raise the stakes but light enough to not take itself completely seriously. The plot is straight out of the video games, the soundtrack is equally appropriate, and while it might get too goofy at points, it actually feels like a fairly faithful adaptation of the character’s game personalities. If you’re a fan of Sonic, I highly recommend it. If you aren’t a fan, then it’s not going to impress, but for those on the fence I’d say gave it a shot. Derek Delago is a UF student who is also an anime club officer. He loves anime, video games and rock. What? We’ll be watching a full anime series with friends and pizza and soda. Anymore questions? Post them in the comments. Hope your weekends going well. If you missed last week, you missed some great stuff like the panel byChan about Hatoful Boyfriend, a dating sim in which you can date pigeons while you’re a human. It’s super great if you’re into that stuff and you can buy it on Steam. Apparently there are two games of it out yay! We watched more Silver Spoon and Jojo’s Circus as well. 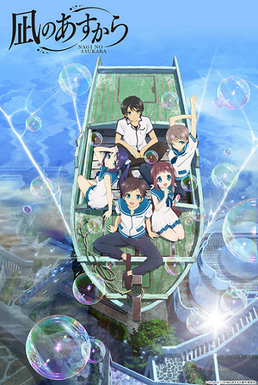 Nagi no Asukara 凪のあすから, AKA Nagi-Asu: A Lull in the Sea ran in Japan and was simulcast on crunchyroll October 2013 through April 2014. When trying to explain this show to others, I feel like I’m voicing an old movie trailer: *ahem* In a world where sea gods are real, where merpeople are forced to go to middle school on land, one lovestruck teenager fights the odds to reconcile an age old conflict between land and sea. Sea people look, act, dress, and are cultured just like land people, but they have a special layer of stuff on their skin called Ena that has to be moistened from time to time, or they can’t breathe. Because of an unusual amount of salt flake snow, the local sea middle school has been closed, so all of our main characters are transfers. They all share the same genetic trait of very light blue eyes. They begin their year by quietly protesting the closure of the school by wearing their old uniforms to the new land school. Screw that land school. Sea uniforms all the way. Although officially it’s considered one long season, there is an opening and ending theme change after episode 13, as well as a time jump. I like this anime because it gets me more interested in the world they live in than involved with the characters. There is a really fascinating political dichotomy between the two towns, a unique arrangement with blurred borders. This features heavily in the second half of the show since the beginning pieces of round two aren’t about our main characters at all. There is a lot of tension between the sea town council and the land town council, specifically about regulating the worship of their sea god and fishing, both of which are naturally related to the people who live under the water, but not as obvious to the land townfolk. That’s where our hero, Hikari, comes in. Although at first he holds some pretty firm prejudices, eventually he’s motivated to mediate between the two groups to help everyone get along. He also spends a lot of time fumbling through his feelings for his friend Manaka. There is a lot of social commentary about familial obligation lurking just below the surface here. If you fall in love with a land person and leave the sea, you are cast out, never allowed to return. It’s about family and friends and love and burgeoning adolescence, but more than that it’s about societal roles. Loss of family members, estranged relationships, second marriages. At first glance this show is light and fluffy, but it quickly becomes obvious that the content gets at the root of what makes life worth living. Lasting friendships, familial love, faith. All wrapped in an enjoyable package of fairly typical middle school life. This show gets 9 out of 10 Golden Tanukis. The characters and their world are full of depth, and little pieces of it have been flitting around in my head ever since I finished the last episode. Watch it, you know you want to. Until next week, try not to get hexed! As a 51-episode anime for kids, there is a long, slow-moving plot with many predictable twists and frequent, lengthy flashbacks. As a result, you really can’t write proper a review unless you consider the entire plot, so spoilers beware! 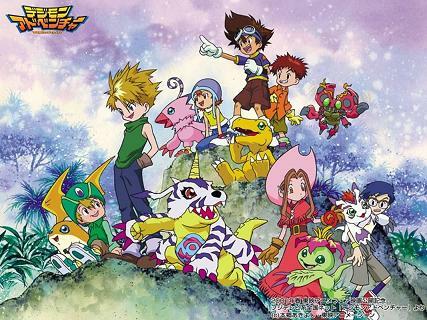 Digimon Tamers is the third season of the Digimon animated franchise. If you’re not familiar with the Digimon universe, just imagine Pokémon, except that the “creatures” chiefly exist within the “digital network” of communications between computers and electronics and are considered incapable of materializing in the real world. However, each season of Digimon presents an entirely different perspective of the “digital” world and Digimon themselves. In Digimon Tamers, Digimon are actually trading cards that are played with using a “Digivice” and can be interacted with on a computer. 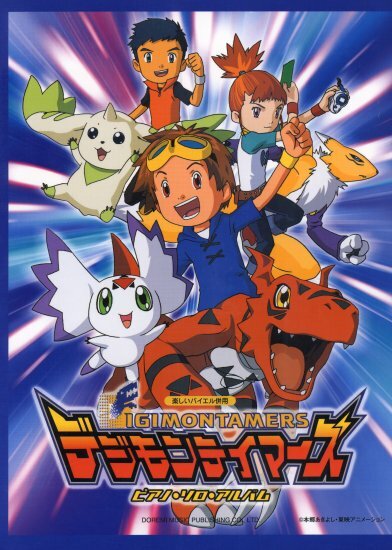 Three children, however—named Takato, Li, and Ruki in the Sub; Takato, Henry, and Rika respectively in the Dub—have their Digimon “bio-emerge” into the real world—Guilmon, Terriermon, and Renamon respectively. They soon team up to stop other Digimon that have begun appearing in the real world as well to uncover the secrets behind a shady organization called Hypnos. 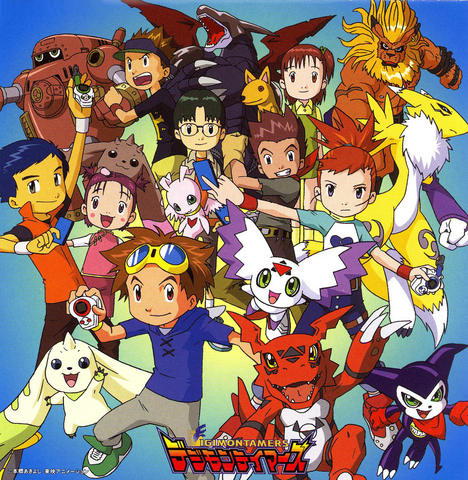 The three “Tamers” meet up with some side characters—including Takato’s crush, Juri (she becomes quite important later)—and Digimon Culumon (Caulmon in the Dub) and Impmon. They eventually have to journey into the Digital World to rescue Culumon who has been kidnapped where they find that there is a computer program, called the D-Reaper, which has been threatening the digital world for ages. The team eventually leaves the Digital world only to find that the D-Reaper has invaded their own world. It takes the efforts of the once evil Hypnos organization, the original programmers of the Digimon trading cards, and the Tamers to defeat the D-Reaper and ensure the safety of the Digital and Real worlds. Pros: The character designs are interesting and surprisingly relatable for children, there is a meaningful over-arching plot that has deep implications and interpretations, the jams are pretty sweet, and the overall feel of the show is a somewhat serious, which is unique for a children’s show, from my experience. Cons: You could seriously cut the number of episodes in half and maintain the same consistency of plot. There is a lull in the action in the 20 or so middle episodes when the Tamers are have to go up against a group of Digimon called the Deva, an arc that really unnecessarily extends the story. A few of the characters provide little to the plot development but are given significant screen time and there are a few scenes, like a few battles, which seem overly convoluted and unexplained. However, I imagine that all of these can probably be attributed to various contracting deals demanding a longer season and the fact that Digimon Tamers is for younger audiences. One thing I really enjoy about this show is the amount of effort that was put in to maintaining a childlike simplicity while concurrently devising a meaningful plot with occasionally dark situations and characters. For example, you can compare visually some of the posters for Tamers to the first series of Digimon: Digimon Adventure. It’s clear that Tamers takes on a darker and more serious approach. The focus on the three central Tamers is apparent throughout the show and they occasionally deal with problems that really resonate with our own, like social acceptance, forgiveness, empathy for others, and refusing to face the real world. The soundtrack of the series is excellent as well, employing many genres of music to convey each character’s beliefs and personality. Here is a video of each Digimon’s “digivolution”. It’s like Pokémon evolution, except that it’s temporary. You can just watch it to 2:08 to get the gist: the art style and music is pretty dark and intense. Also, each Digimon is not necessarily hero material. Guilmon is supposed to be a virus type Digimon and is very mischievous, and Renamon is pretty much a tsundere character that likes being alone. ]This is a dark and somewhat disturbing scene from one of the later episodes, where Juri is recalling the traumatic experience of discovering her mother’s death while the D-Reaper overtakes the city. The great computer scientists of the mid-20th century like John von Neumann and Alan Turing recognized the life-like attributes of a digital network of computers and the possibility of “digital organisms” existing in the invisible matrix of signals and electronics, obscured from our view—even before the Internet was invented! On an even higher interpretive level, I feel that the Digimon franchise, and especially Digimon Tamers, is a realization of this idea. 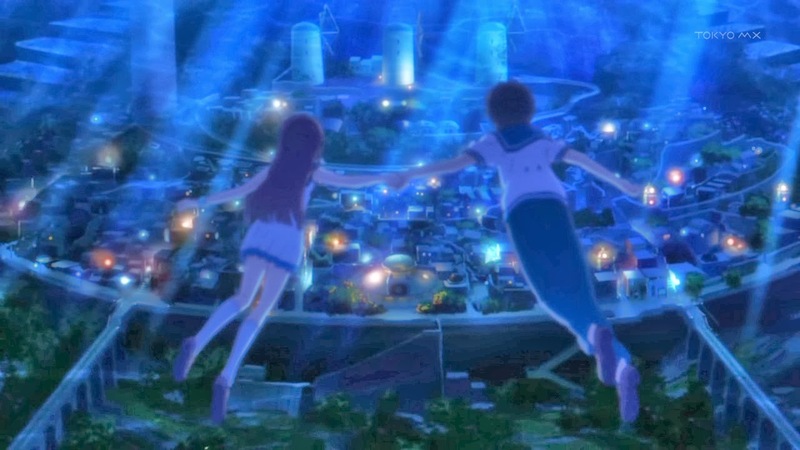 In both the Digimon universe and ours, the digital world as a whole is, in a sense, autonomous and is often beyond the control of humans, despite our daily reliance on it for communication and entertainment. Therefore the name Digimon “Tamers”. If you like the simplicity of children oriented material but also enjoy deep plots and relatable characters, then you should try this anime. 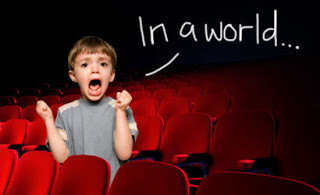 Just be patient, as it is a children’s show, so not all of its 51 episodes are mind-blowing! If you stick it out, you’ll find that Digimon Tamers is an exceptional anime by the standard of kids’ shows and is a wonderful show in itself as well. Max Dunevitz is a UF student who enjoys meaningful and insightful anime and video games that challenge the status quo. His hobbies include programming, the arts, music composition, mathematics, and community service. Thank you so much to everyone who went to the meeting last week. I think we can all agree it was a lot of fun and endless candy. Everyone who dressed out looked great. Congrats on the winners of the cosplay contest. You looked extra phenomenal. I hope everyone who went to Shadocon enjoyed it. Thanks to everyone who brought food. Special shout out from me to the person who made those ghost cookies. I loved them. This week we will resume our regular schedule of panel, member’s choice, Silver Spoon and then Jojo’s.